We have collected a list of scholarships that UB/UBMS students may be interested in. We are not responsible for the application deadlines of these scholarships or their funding status. However, we will continue to add more select scholarships to this page as they become available. Two one-time scholarships of $500 to deserving students of the UB & UBMS programs. 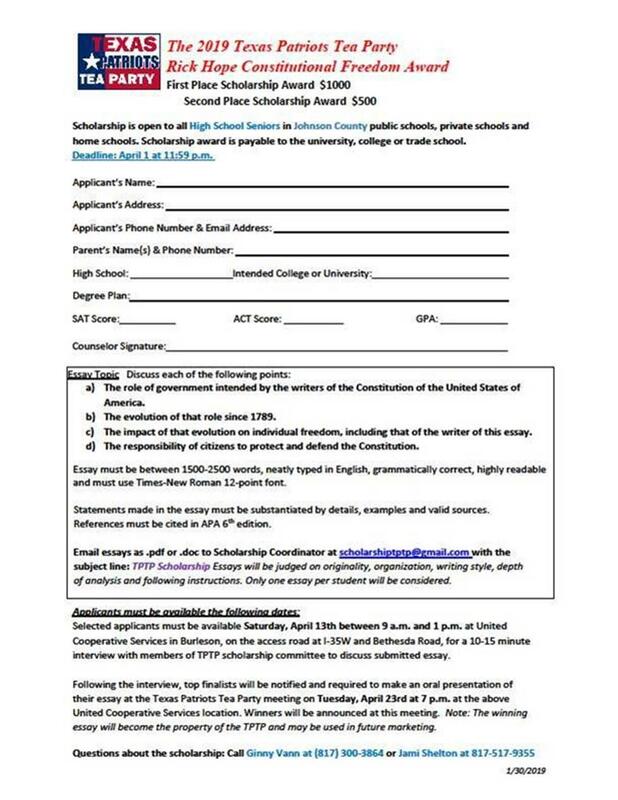 Online application available; see "Local Scholarships" below for the link. Design a poster and win up to $5,000. Cleburne Baseball and Softball Assoc. Johnson Co. Livestock & Agriculture Assoc.